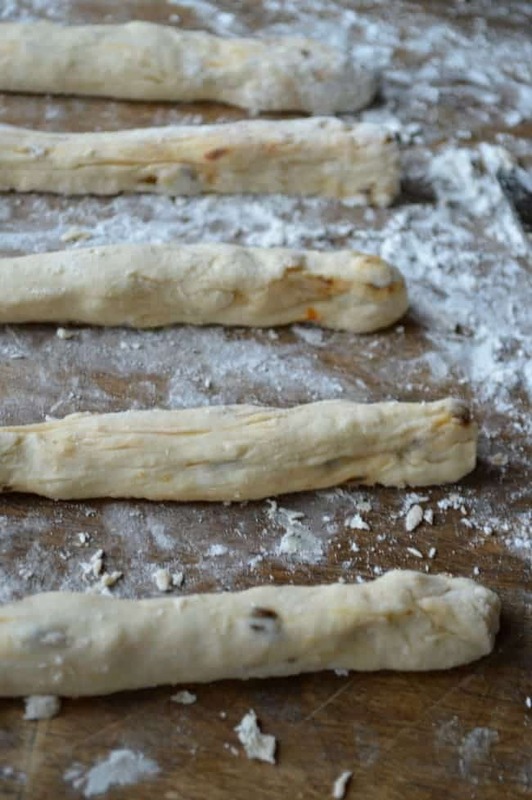 An easy recipe for beginner breadsticks with sun dried tomatoes baked right in! 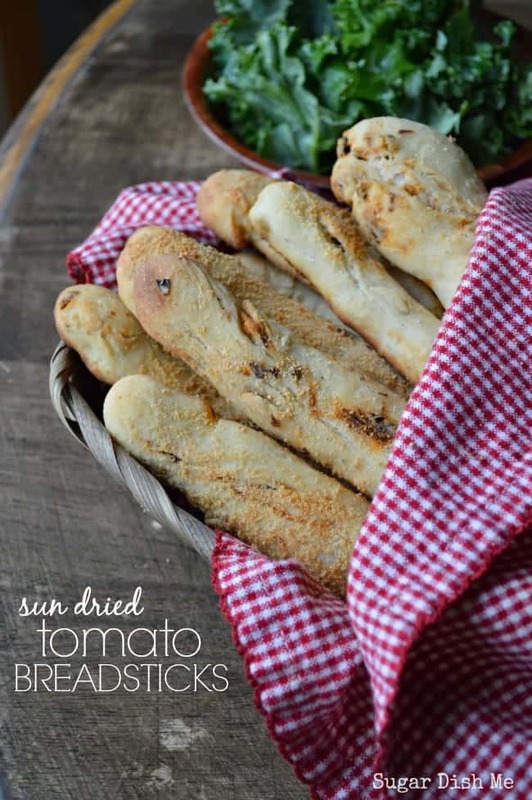 Sun Dried Tomato Breadsticks are sprinkled with Parmesan cheese and go perfectly with all your soups, salads, and dinnertime eats! 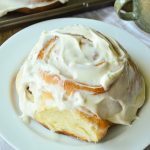 This is an excellent recipe for new bakers to try their hand at using yeast! Bread eaterssssss… this one’s for you. And me. Because it’s all about the bread. And sometimes cheese. But really the bread is just a vehicle for cheese so … BREAD. You’re with me on this. I know you are. We are kindred bread spirits like that. And is there anything more lovely than a breadstick? Bread that does not require a plate but is free to roam around and dip in things. For all the bread recipes I have shared with you I have never shared a breadstick recipe. It was high time. I had lunch with my mom and sisters a couple of weeks ago and my sisters were all arave (is that a word? spellcheck thinks it’s a word so we’re going with it) about sandwiches on sundried tomato bread. 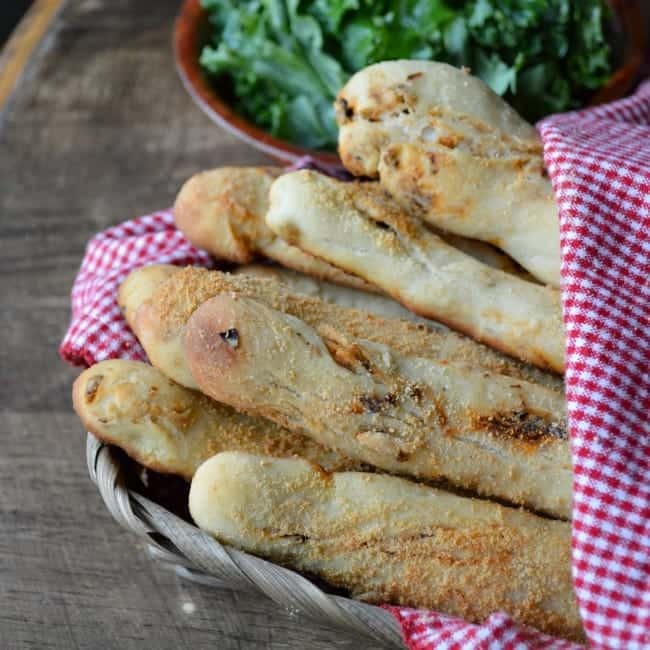 I already knew I just had to had to had to share this super easy beginner breadstick recipe with you but then… well I thought it would be even better with sun dried tomatoes. It is SO MUCH better. It’s one of those foods that feels fancy but … well they are so simple you won’t even believe it. Those are the best recipes. And now… let’s talk yeast. I know it’s one of those ingredients that sort of fah-reaks people out. I’ve been baking with yeast for a long while so sometimes I forget it can be intimidating. The good news is that there is SERIOUSLY no reason to be intimidated. 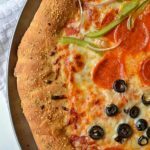 I have plenty of other yeasted recipes on this site that you all use regularly — the easiest one being my 10 Minute Pizza Dough. These breadsticks definitely fall in that category — so simple you forgot you were ever worried about yeast. 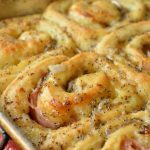 The other good news is that Fleischmann’s® Yeast is my foolproof product with lots of foolproof tips and tricks for yeast bread baking. Fleischmann’s Yeast lives in my fridge 365 days a year. I graduated some time ago to the big ‘ol jars of yeast instead of the single-use packages, but they are all full of the same good bread-rising stuff. 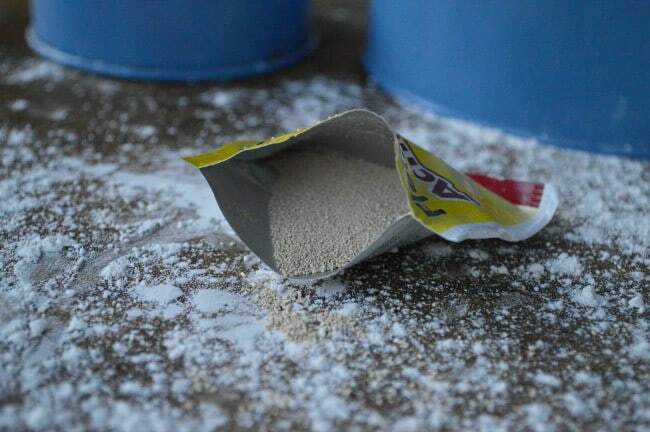 Pro Tip: 1 (1/4 ounce) package of yeast = 2 1/4 teaspoons You know, for when you start hoarding ingredients like me. Okay so Sun Dried Tomato Breadsticks are only gonna require one little 1/4 ounce package of Fleischmann’s® Rapid Rise® Yeast BUT! I also tried these with the regular Fleischmann’s Active Dry Yeast and they totally turned out just as fluffy and pretty as ever. Just in case you buy the wrong thing or your store is limited or whatever. I told you — EASY. No panic here. You basically just mix most of the dry ingredients, including the Fleischmann’s Rapid Rise Yeast, add the water, an egg white, and oil, and then gradually stir in the remaining flour until it all comes together. Fold in those sun dried tomatoes, and knead. You know how to knead, yes? 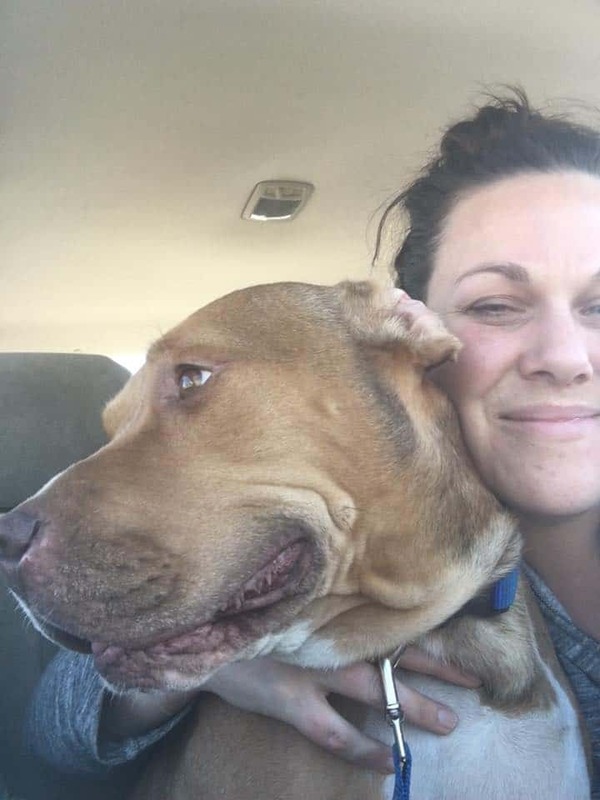 If you’re unsure about any of it these Tips and Tricks have so many answers. Because of the Rapid Rise Yeast you only have to let this dough rest for 10 minutes before shaping it into breadsticks. You can have awesome homemade breadsticks in just over an hour! 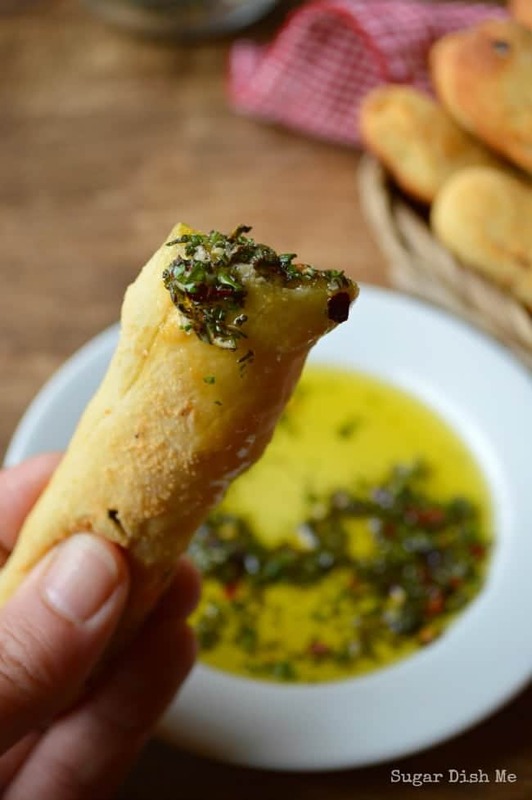 And these breadsticks are the perfect vehicle for this Copycat Carrabba’s Herb Dip. 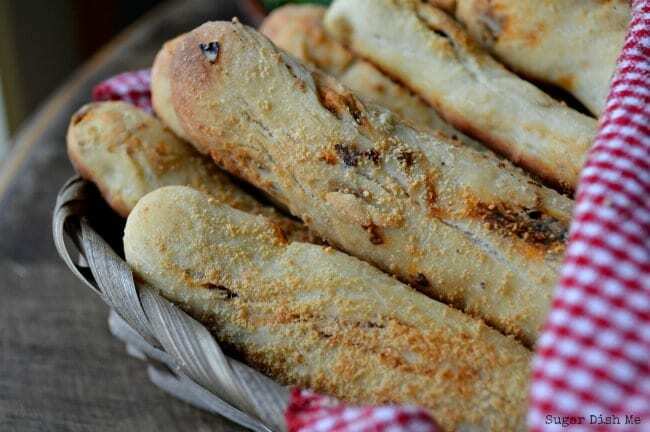 A super simple beginner's bread baking recipe for delicious fluffy Sun Dried Tomato Breadsticks! Perfect for serving with soups, salads, and of course for dipping! Prep time includes a rest time of 10 minutes and a rise time of 30 minutes. Active prep time is only about 15-20 minutes. 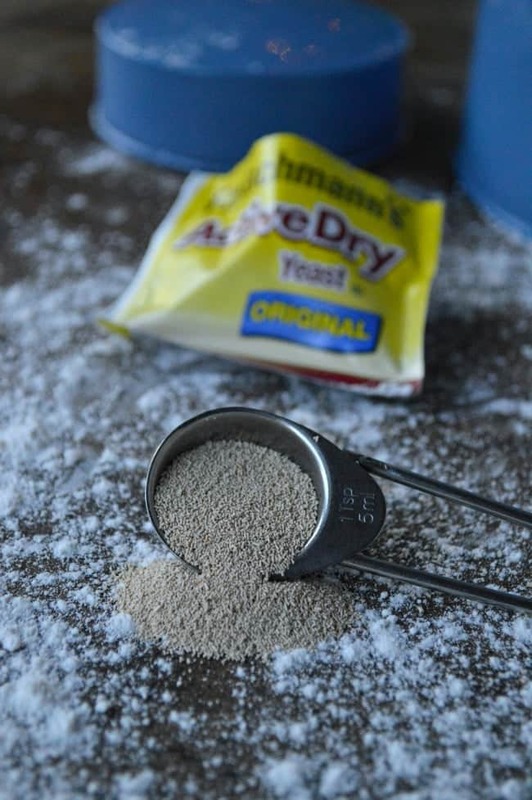 In a large bowl whisk together 1 cup of the flour, sugar, Fleischmann's Rapid Rise Yeast, and salt. In a liquid measuring cup measure out the warm water and add the 2 teaspoons of oil. Check the temperature with your fingers or an instant read thermometer. Pour the liquid into the dry mixture, add the egg white and stir until combined. 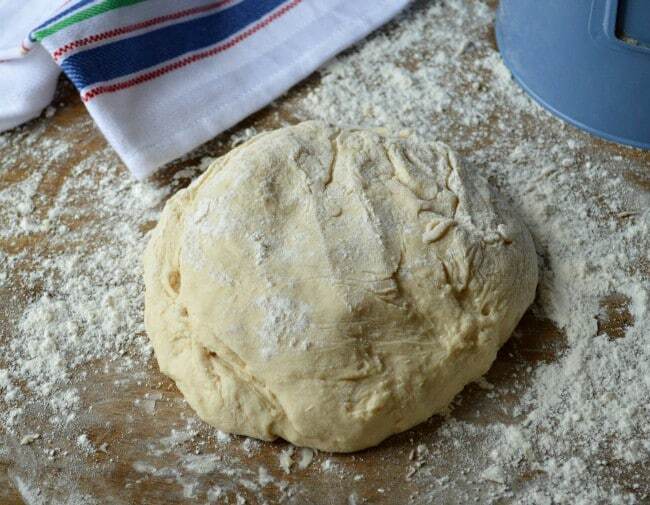 Gradually add in the remaining 1 - 1½ cups of flour ( I add ½ - ¼ cup at a time) until the dough forms a ball. 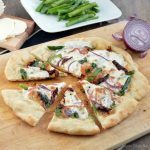 Add the sun dried tomatoes to the dough, fold it once or twice in the bowl to incorporate, and then turn the dough out onto a floured surface. Knead for about 6 minutes, until the dough is smooth and elastic and springs back lightly when pressed with two fingers (I actually only had to knead for 3-4 minutes to achieve the right texture). Cut the dough into thirds. Then cut each third into fourths, yielding 12 equal pieces. Roll each piece into a 10" rope (I do this with floured hands to make it a little easier). Place the breadsticks on a greased baking sheet -- if you have to crowd them it's fine, but you will have to pull them apart after they bake. 2" between each breadstick will prevent them from baking together. Brush the tops with the remaining 1 tablespoion oil and sprinkle all over with the Parmesan cheese. Cover the breadsticks again with the towel and let them rise in a warm place (I use my stove top) for about 30 minutes, until they double in size. Preheat the oven to 450°F. Bake for 10 - 14 minutes, or until golden brown. Serve warm. For instructions using a mixer and the original Beginners Breadsticks recipe be sure to visit Breadworld by Fleischmann's.